After a solid day of packing, re-packing and last-minute curry, we are on our way! 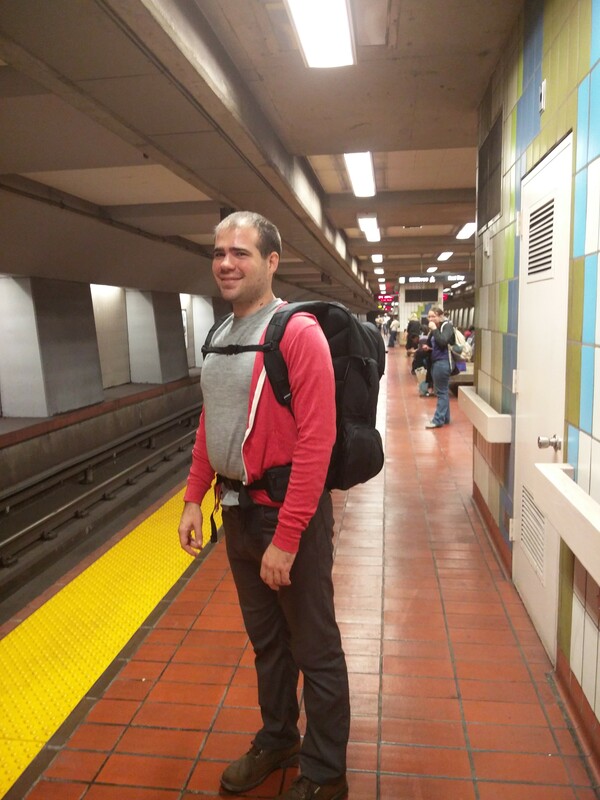 (Jason took a quick BART ride over to pick up some curry for us – sorry we didn’t have time to meet up with folks!) Tomorrow we head straight from the airport to La Paz falls, on the slopes of the Poás Volcano. So excited! 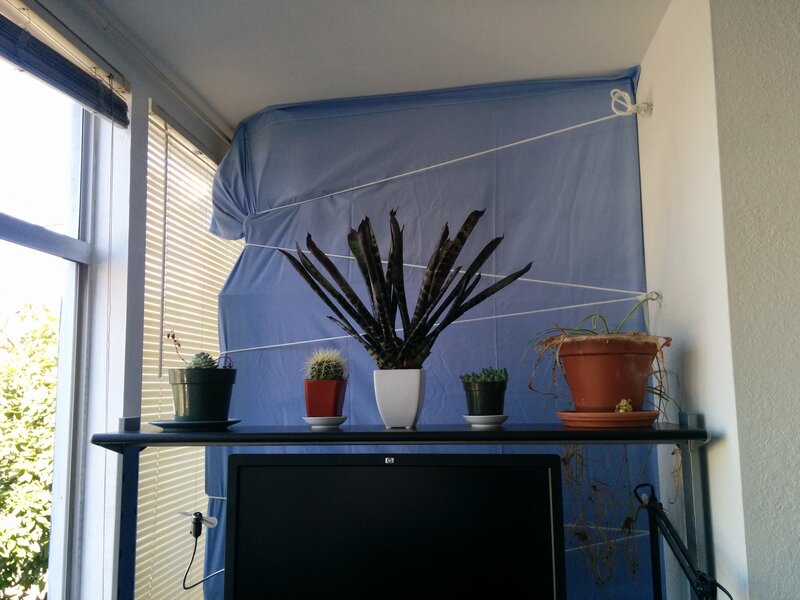 What’s behind the curtain? All our crap! My bag’s innards. Only 40L* but it still feels like a lot! *not including daypack. 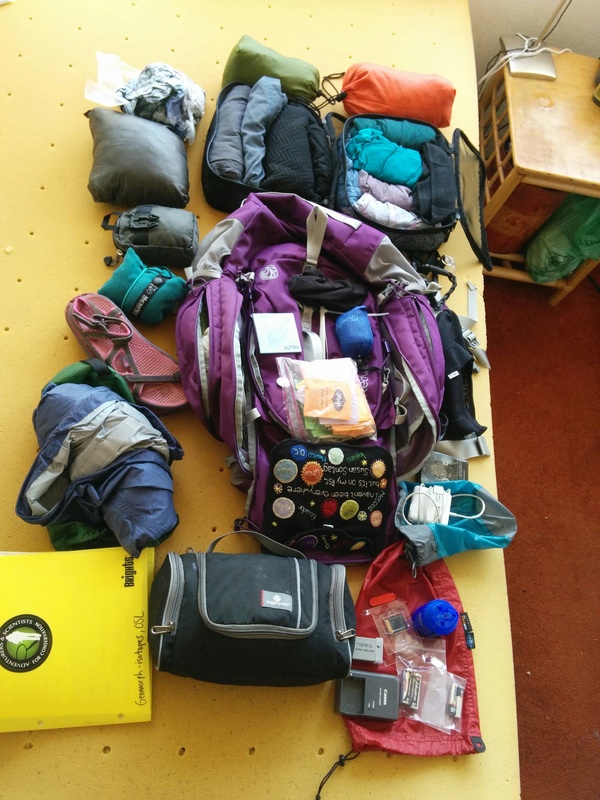 Check out Jason’s amazing pack job. Love seeing what you brought. NEON post-its! That Susan Sontag quote is terrific…and did you embroider that? It’ll be fun to learn what you feel you still need behind that blue curtain after this. Neat – Enjoy, and I hope you don’t see this for a couple days. The purported pH of the crater lake seems pretty amazing, but then again that’s likely the reason I have heard of the volcano. Bon voyage! I’d love to see your packing list, and how you both adapt your gear to different climates, cell phone standards, etc. What phone did you bring? In the phone department, Sarah brought a Nexus 5, and I brought a OnePlus 2, which is nice since it supports dual sims — I have an international SIM for emergencies, and back that up with a local sim for affordable service/internet in each country. Love the exploded pack view! And all the cubes and pouches. Will be interesting to see how it evolves over time and space.